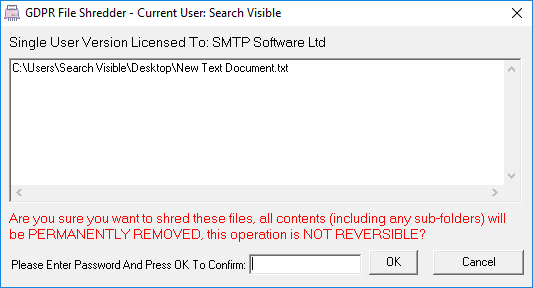 Most computer users are not aware that simply deleting a file or using the “Recycle Bin” on their desktop doesn’t completely remove the file. 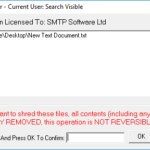 All that happens is that the file name is removed from the list of files on your computer and the space it took up becomes available to be used again, whether or not it gets used again is out of your control and until that point it is very very simple for any number of file recovery tools to recover the file and its contents. This is great for a valuable family photo that has accidentally been deleted, not so great in the business environment when you could be dealing with sensitive customer information! In the world of hard copies it is equivalent to putting the paper in a filing cabinet and hoping that it gets thrown out someday. Our GDPR File Shredder on the other hand is the software equivalent of taking the piece of paper and putting it through a multi-pass shredder and then burning the bits. 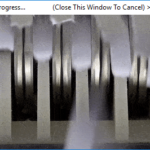 We have tested its shredding ability with several generally available file recovery tools and to date we’ve not found anything that could recover the file contents*. 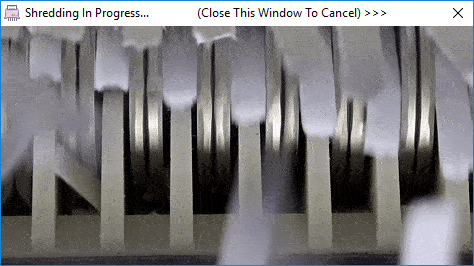 If a customer asked for information that is contained within a standard Windows file to be deleted then we are confident that our shredding process is an extremely effective way of doing that. 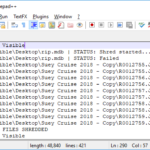 The GDPR File Shredder has been tested on computers running Windows XP all the way up to Windows 10.1 and across 32-bit and 64-bit versions. Even so we strongly recommend that all users take advantage of the FREE TRIAL version (Limited to shredding 20 files) before buying a license just to make sure the GDPR File Shredder works on your intended environment. We STRONGLY suggest that ALL USERS take advantage of the free trial to make sure this software fits your needs before purchasing. The trial is limited to shredding 20 files. Once you are happy with the trial please uninstall before purchasing the full software. A single user license entitles a single Windows desktop user (either entity or working for the entity that purchased the license) to use this software, the software can be installed on multiple computers and the license will follow the user if roaming profiles are configured. A multi user license entitles any number of Windows users to use this software, however every user should be employed by the entity that purchased the license. * – Tested as at January 2019, this in no way guarantees that there isn’t “something” out there being used in law enforcement that can’t recover the data but for general business/compliance purposes we’ve yet to come across anything generally available that could do it. If you find something please let us know? ** – Due to the way that Solid State Drives (SSD), Flash Drives, USB sticks etc work there can be no assurance that 100% of a files contents are shredded, this is purely down to the hardware controllers and can vary from machine to machine. Under testing we have found partial recovery possible on these mediums so we strongly suggest this software is only used for shredding files stored on standard HDD hard drives.